My backyard is very beautiful. The only problem is that my patio is just a lattice covering. 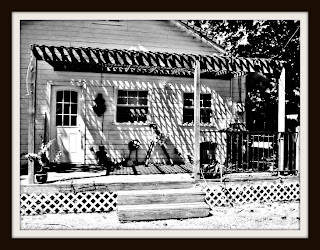 I have always wanted a vine covered patio. 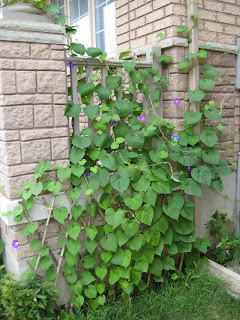 My favorite vine is morning glory. 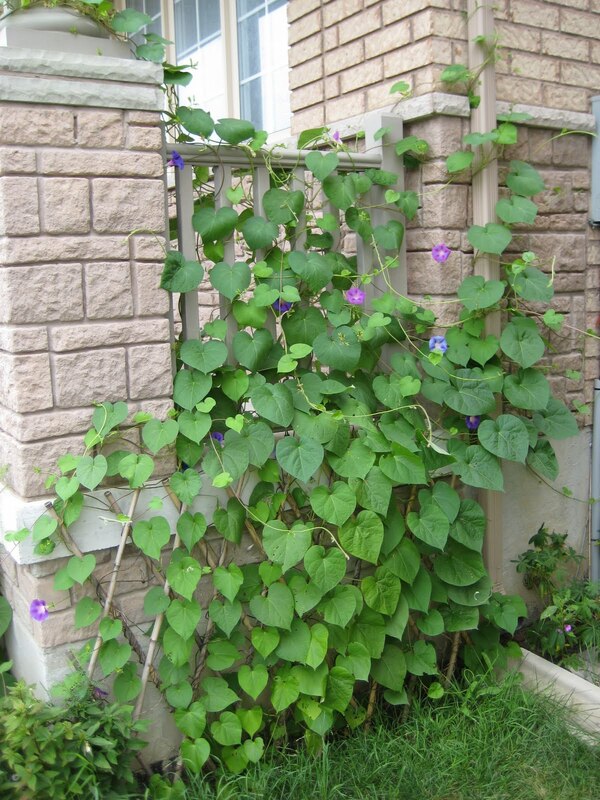 It can cover a lattice patio with a rich green vine and little purple flowers. I think shade with plants is more comforting however it won't keep out the rain. So it's a good thing I have a covered front porch. Above is a picture of the potential this plant has to climb. 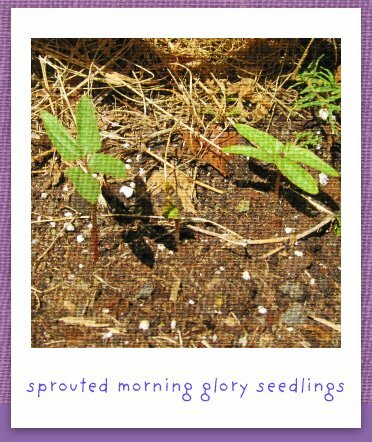 Now that my seedlings have sprouted I am very curious how long it will take before they start creeping and crawling up the sides of my porch. 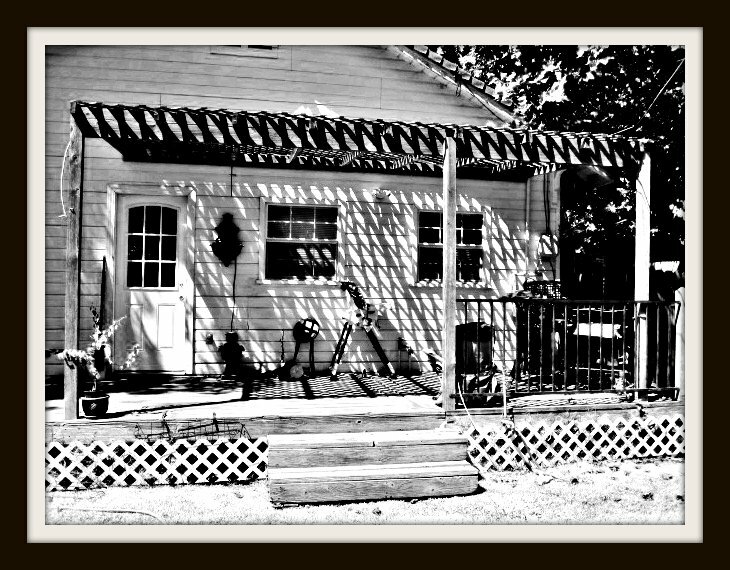 I planted them right at the base of my porch on the two front corners. They should be coming along strong in no time at all.